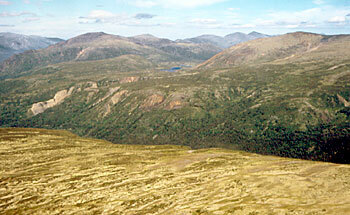 Alpine meadows dominated by sedges and shrubby heathers clothe the southern Coast Mountains. 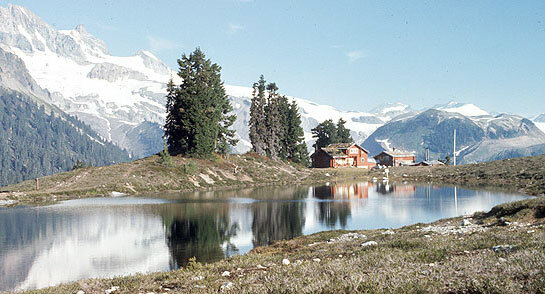 Garibaldi Provincial Park. Robert Cannings. British Columbia's mountain ranges represent a wide range of habitats – they are different ages, made of different kinds of rocks, affected by different climates and often they support different species of plants and animals. 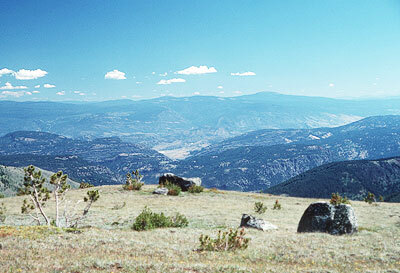 The glaciated mountaintops of the southern interior plateaus are low and rounded. Apex Mountain. Robert Cannings. The Rocky Mountains in eastern British Columbia are raised layers of sedimentary rocks formed on the floors of ancient seas. 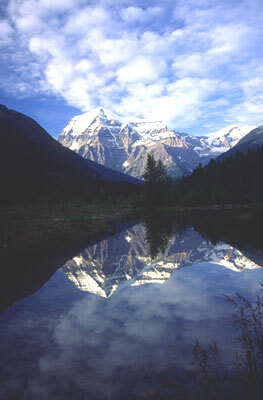 Mount Robson Provincial Park. Robert Cannings. At 3,954 metres, Mount Robson is the highest point in the Canadian Rockies. Douglas Leighton. 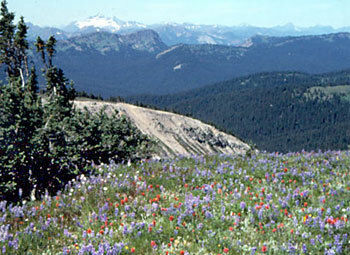 The mountain meadows of British Columbia's interior region are famous for their flowers in summer. Manning Provincial Park. Robert Cannings. 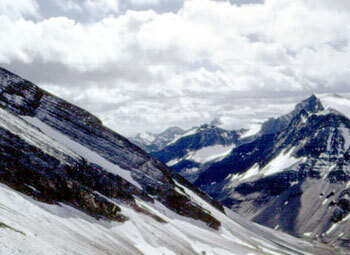 Mountains in the northern interior region are often heavily glaciated and eroded. Mountains east of Atlin. Robert Cannings.